Video is up: here, here, and here. Thank you, Patrick Stephenson! 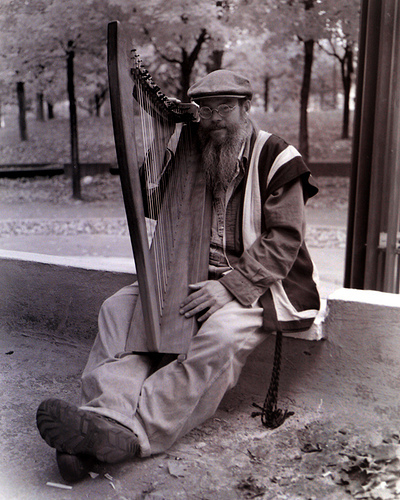 "Gaffer" has been played by his Folk Harp, Leannan (a Dusty Strings 26-string), since 1989. Multi-instrumental in his background, he has always had music as part of his life. Song and story form his style.